Wine punches are excellent ways to elegantly and conveniently serve a crowd and this rosé berry bliss is sure to become a new party favorite. Originally created by Clos du Bois the simple recipe pairs rosé wine with blueberries, pink lemonade, and citrus soda to give it a beautiful sparkle. Pull this recipe out for weddings, showers, brunch, Mother's Day or anytime you want to serve a fabulous drink. The ease of making it is hidden by the fact that it looks beautiful and tastes amazing. It's the perfect way to quickly entertain in style. In a large pitcher, mix the wine, blueberries, and frozen pink lemonade together. Allow the flavors to marry in the refrigerator for at least 1 hour. Pour into Champagne flutes and top each glass with lemon-lime soda. 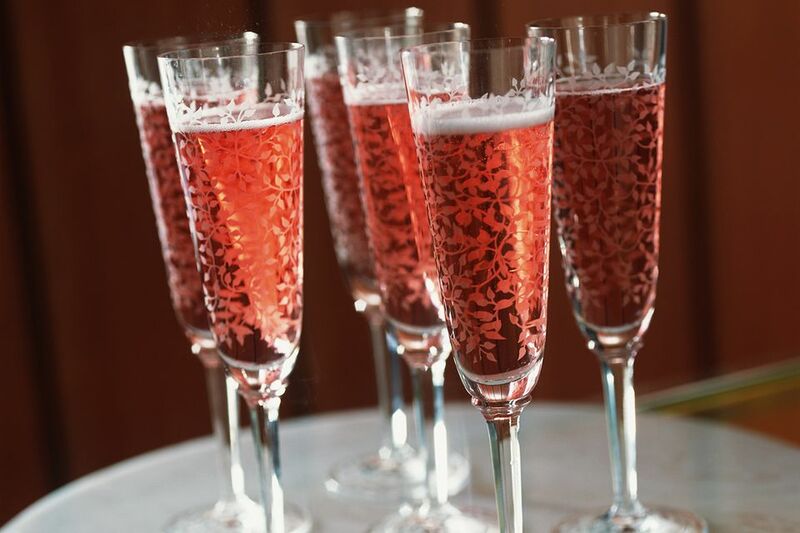 Rosé can be either a still or sparkling wine. Since the punch includes soda, the still wine is a great choice unless you want to double up on the bubbles. Depending on what's easiest at the moment, use either fresh or frozen blueberries. This recipe originally recommended "1 bag frozen blueberries" which doesn't clearly define the amount. About 1 cup of the fruit is perfect, but, by all means, add more if you like! Frozen pink lemonade is a concentrate that's typically mixed with about 64 ounces of water. This recipe uses the wine as a substitute for the water. The lemonade should thaw rather quickly but would be best if you set it out for a little bit to make it easier to stir into the punch. None the less, the punch will need to be stirred again when you take it out of the fridge. If you prefer to avoid the frozen pink lemonade (or it's unavailable near you), use about 32 ounces of pink lemonade that's already made. You can even make your own pink lemonade by sweetening fresh-squeezed lemonade with strawberry simple syrup. Add less soda and lemonade to suit your taste and the lemonade you're using. As written, the recipe should yield around 10 6-ounce servings. If you use the recommended 32 ounces of prepared lemonade, the volume will increase to about 15 servings. Other types of berries, including raspberries and strawberries, can be used with or instead of the blueberries. For an interesting twist, try the punch with half apricot juice and half apricot nectar instead of lemonade. How Strong Is a Rosé Berry Bliss? The high volume of lemonade and soda make this a delightfully mild punch. It should mix up to an alcohol content of just 4 percent ABV, which is equal to the lightest beers. There's very little need to worry about your guests getting drunk off this one!